Sign up and receive Property Email Alerts of Apartments to let in Bloubosrand, Randburg. Gorgeous 2 bedroom flat to let in Bloubosrand, Randburg. This airy home has a large, welcoming living area with space for a full lounge suite as well as TV stand and leads out onto a small patio which overlooks the beautiful gardens. Functional and roomy kitchen has loads of cupboards as well as space for 1 under counter appliance. The 1st bedroom has a small built in cupboard and fits a double bed while the main bedroom fits a queen size bed and has good cupboard space. The unit is serviced by 1 bathroom. 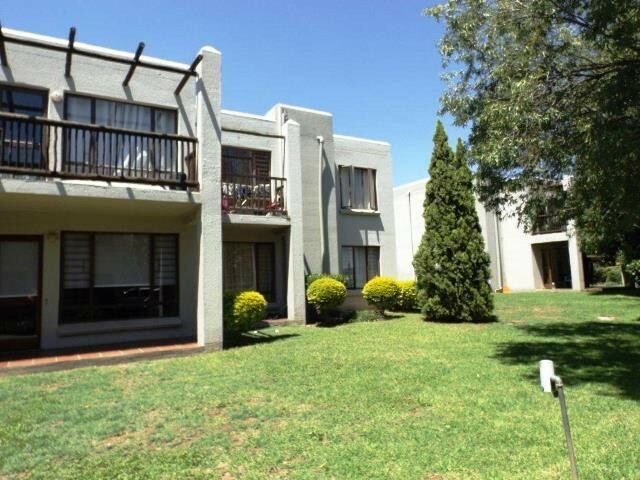 This secure rental apartment in Bloubosrand, Randburg beenfits from a beautifully maintained communal lapa area which has a pool as well as braai facilities. Located just minutes from both Fourways and Roodepoort. Sign-up and receive Property Email Alerts of Apartments to let in Bloubosrand, Randburg. Disclaimer: While every effort will be made to ensure that the information contained within the Letting People website is accurate and up to date, Letting People makes no warranty, representation or undertaking whether expressed or implied, nor do we assume any legal liability, whether direct or indirect, or responsibility for the accuracy, completeness, or usefulness of any information. Prospective purchasers and tenants should make their own enquiries to verify the information contained herein.